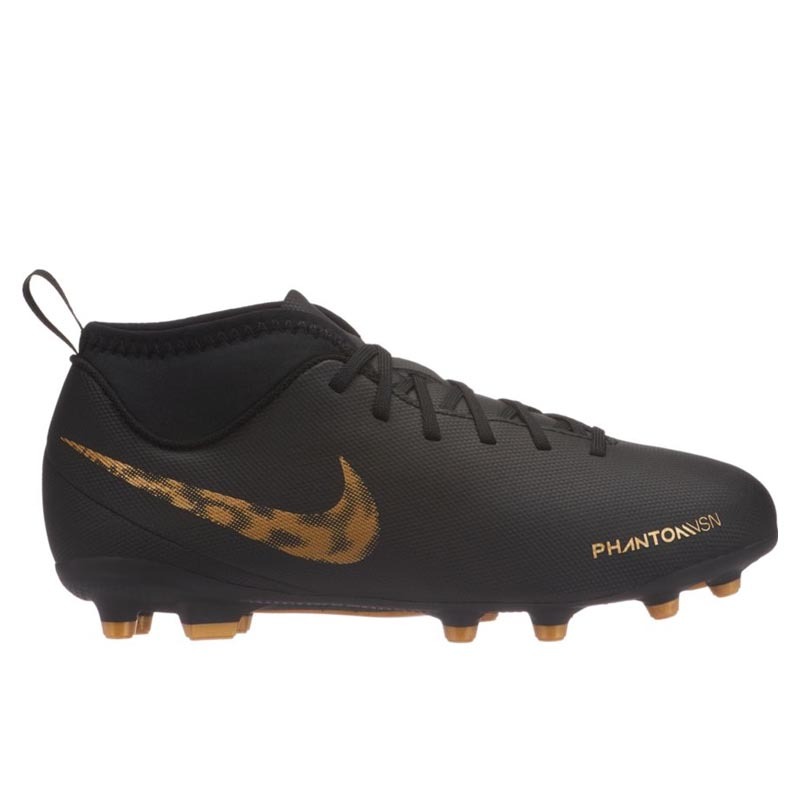 The Nike Jr. Phantom Vision Club Dynamic Fit Little/Big Kids' Multi-Ground Soccer Cleat has a comfortable fit with an internal sleeve that hugs your foot and sock-like collar around your ankle. Textured synthetic leather gives you precision and control on the field. A versatile multi-ground plate provides traction on multiple kinds of surfaces like natural and artificial grass. Textured synthetic leather gives you exceptional touch and ball control. Dynamic Fit collar wraps your ankle for a sock-like fit. Inner bootie for comfort and supportive feel.